So there we were – in our very own home. Sure it was a trailer however it was about a million times better than the roach-infested apartment we lived in after getting married. 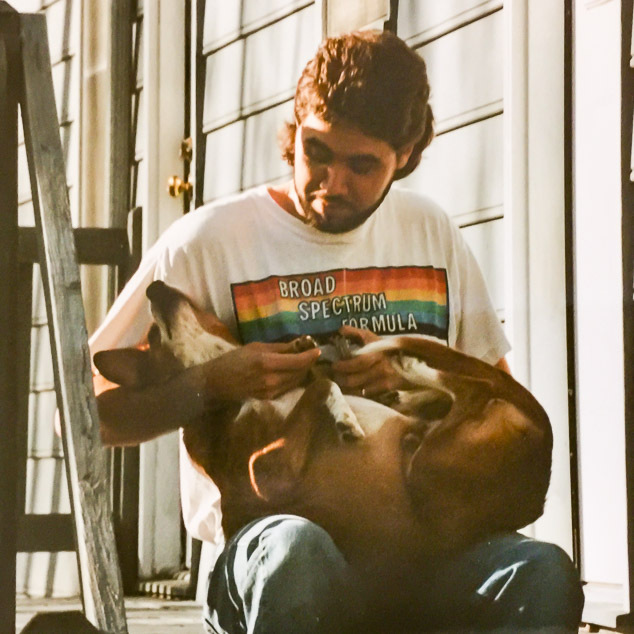 We had just lost Dusty, our first family dog. Then, as fate would have it, our neighbor’s dog had puppies. It was an unexpected litter of mixed breed pups and they wanted to find homes for them. It took us a millisecond to claim one. And that’s how Crystal, our sweet and gentle dog, entered into our life. The puppies were adorable. One stood out to us though. Why? It was the heart on top of her head. A puppy marked with love. Wow. She had to be ours. 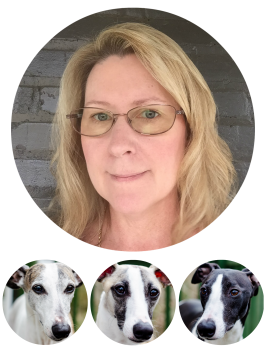 Look at that heart on Crystal’s head – how adorable! 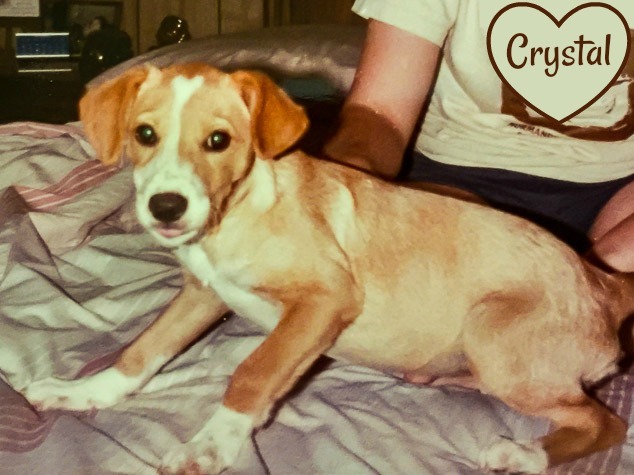 Crystal was a dream puppy. She was loving, playful, and not destructive. She was a breeze to house train. In fact, she was majorly house trained. So much so, when we had her spayed, the vet called us to get her because she wouldn’t pee. The moment we put her in our backyard, she peed like a champion. She didn’t have any aggressiveness. I do not recall any time she bit anyone or any animal. In all the years I took her for walks, she never pulled at the leash or go at another dog. She was such a gentle dog. We didn’t take many pictures of Crystal. Actually, we didn’t take many pictures at all. We went years without taking a single photo. I could only find a few and one happens to be her and I on the back deck of our first house. Me and Crystal on the deck of our first house. Oh, how I wish I still had that body. Nothing much ever phased her. I still smile now when I think of the time she saw a cow for the first time. We were on our usual walk and rounded the corner by a field. There was a cow next to the fence. She looked at it and her eyes got so big. I swear she looked at me like “OMG mommy, that’s a BIG dog!” and it cracked me up. Crystal knew the difference between adults and children. When an adult would throw a ball, she’d bring it back then want to play pull with it. Like yea, you just try and get it from my mouth. If a child threw the ball she would bring it back and drop it at their feet. Again, such a sweet, gentle dog. Crystal and my husband. She was so gentle and didn’t mind being picked up, handled, or held belly up. She was loyal too. We stayed with my parents when we were building our first house. My parents did not have a fence. She would never leave the yard and always be close by. Then the time came for us to move into our house. When we left with the last truckload, she went out and laid next to our car. She would not move from that spot until we returned. She knew it was the last thing of ours there and she wasn’t going to let us take it without her too. Crystal was in our life for 16 years. I was devastated when it was time to say goodbye to her. She truly was the sweetest, most loving, and gentle dog we’ve ever had.